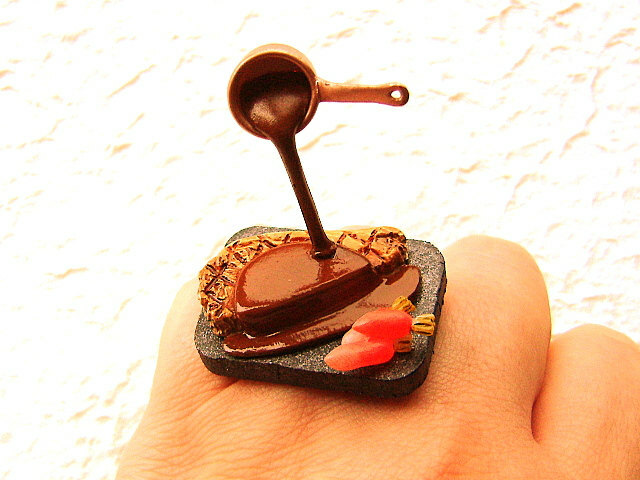 Etsy shop SouZou Creations makes very detailed Kawaii Japanese miniature food jewelry. 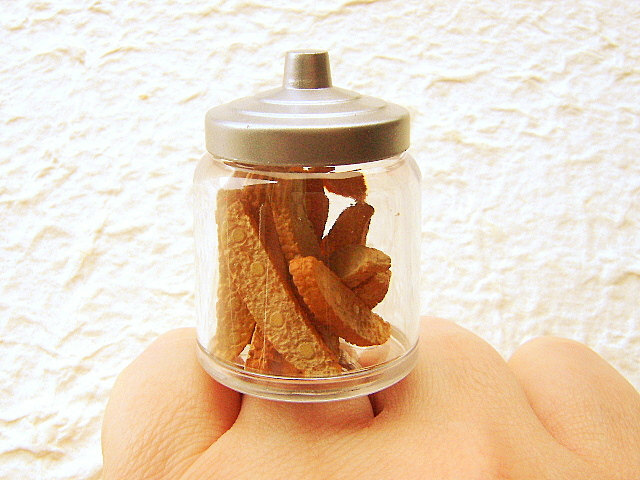 From a ring topped with beer, French fries and chili dip to ring that is a tiny jar of biscotti, there is a lot of cute to be had at this shop. 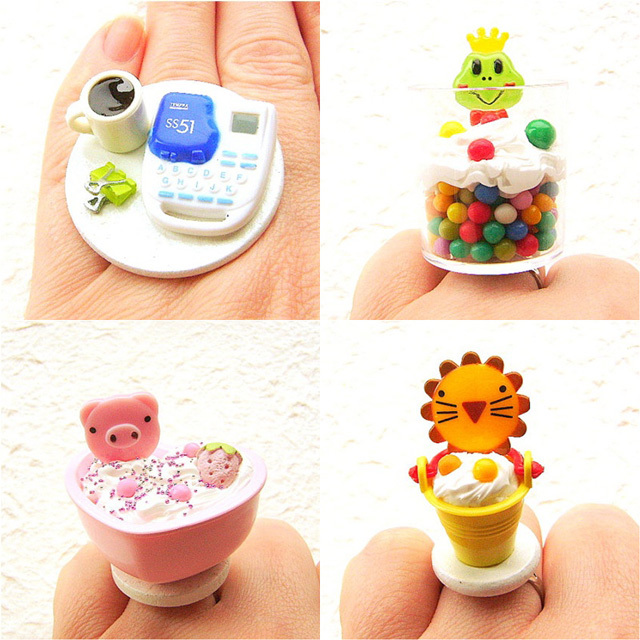 This is soooo cute ring! There is a plate with a steak and carrots. There is also sauce being poured on the meat! 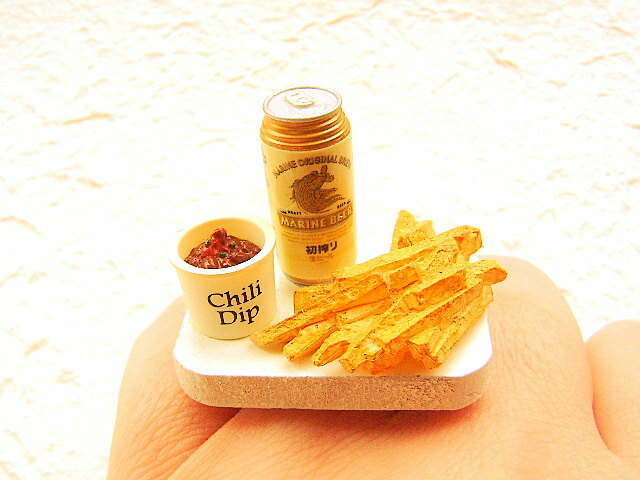 Snack time – beer, French fries and chili dip! Don’t forget the biscotti with your coffee. The cookies aren’t glued down so they move around.